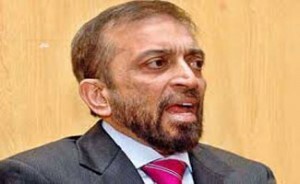 KARACHI: Muttahida Qaumi Movement-Pakistan (MQM-P) convener Dr Farooq Sattar on Friday stated that a ‘unilateral’ decision to support the Pakistan People’s Party (PPP) in the Senate chairmanship elections would prove to be a profound mistake. While addressing the media with the Sindh Governor Muhammad Zubair by his side after a meeting, Sattar was dogmatic that the Bahadurabad group should take a mutual decision to support candidates for Senate top seats with the consultancy of the PIB faction. The MQM-P convener who seemed upbeat about the party’s future also said that he would vanquish the ongoing party infighting by making all-out efforts to unify the party on the issue. However, he also observed that the Rabita Committee-led Bahadurabad group held more Senate seats in the upper house than his group did, and added that Bahadurabad faction convener Khalid Maqbool had not sought his views on the matter as yet. The Sindh governor observed that the MQM-P is a major opposition. “I hope the party will support PML-N in the election for Senate chairmanship,” he said expectantly. “Earlier during the meeting between the duo, Zubair and Sattar exchanged views on the upcoming Senate election for chairman and deputy chairman,” said sources. The sources further informed the media that the governor had conveyed an important message by the leadership of his party to Sattar during the meeting.